Would you like to boost confidence and free yourself from any past relationship baggage that may be holding you back? What if I showed you the secret strategies to finding a good man and inspiring him to commit to you? Dating can be daunting-especially if you’re a successful, confident woman in other areas of your life. And with the current trend of casual hook ups and swipes what’s a girl to do? Zero chemistry. A titillating start that fizzles. Things move too fast. You sleep together. You let your guard down…and he hurts you. He resents your success maybe even intimidated by it. He never calls again. He disappears…you’re alone AGAIN! As a Relationship Expert I’ve heard these stories every day for the last 12 years. As a successful woman who’s dated, married, divorced and dated again before finding and marrying my dream man, I know how hard it is to put on a smile and keep climbing back on the dating treadmill. When you date – in the real world-with the same knowledge and confidence that you take into the rest of your life, it becomes exciting and fun. An experience you learn so much from while meeting some wonderful men. And instead of wasting precious time on Mr Wrongs, you spend it with potential Mr Rights, on your path to a lifetime of true love with ‘The One’. My dating products and coaching help you make sense of men, their actions and words. I reveal the four types of men, what men really want from a woman, how to deeply connect with your man like no other woman and the six secret steps to making a man want to commit to you for life! Re-connecting with your man on a deeper level than you ever imagined. 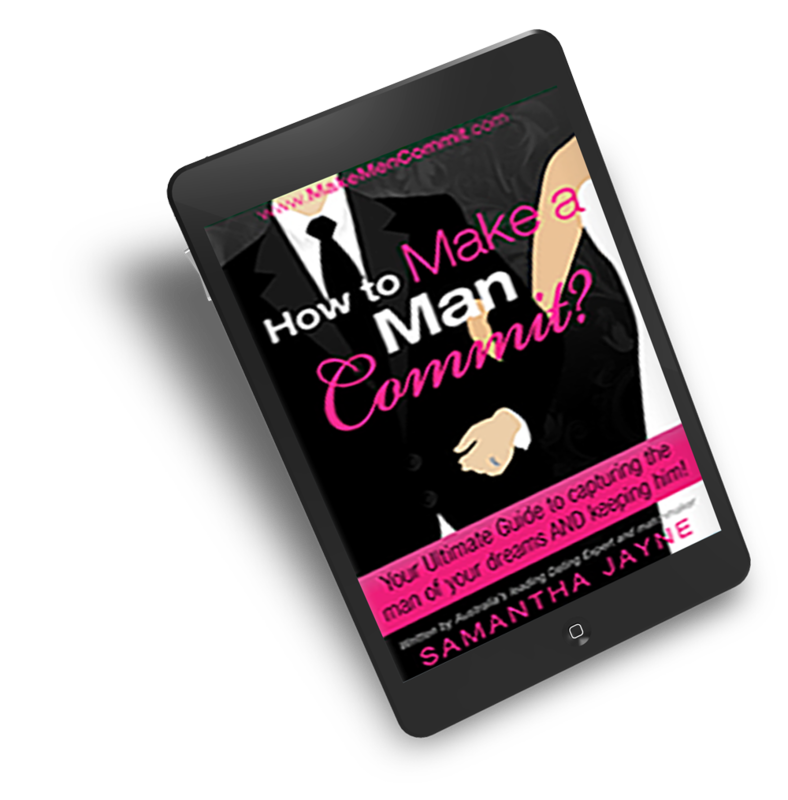 Step 2: Watch the video or listen to the Mp3 http://fourtypesofmen.samanthajayne.com.au/ Learn how to deeply connect with any man and be the woman he falls in love with! Busy, time-poor successful women love being part of my monthly dating coaching program. It’s convenient, cost-effective and provides a deep insight into men, dating psychology and relationships. You get support and feedback from other smart, strong, successful women. Only I know who you are and the session is recorded for you to keep. If you can’t make the live session, it’s available for you to watch and listen to anytime. Be part of this personal and effective coaching to help you understand men, attract the one you desire, make him love you with passion and commit to you forever. Earn your Masters in Love! (link) $149 – Apply now for the next start date.